WOW.. Immaculate Move In Ready 4 Bd's, a Den, upstairs loft & 2 1/2 Bath Home! 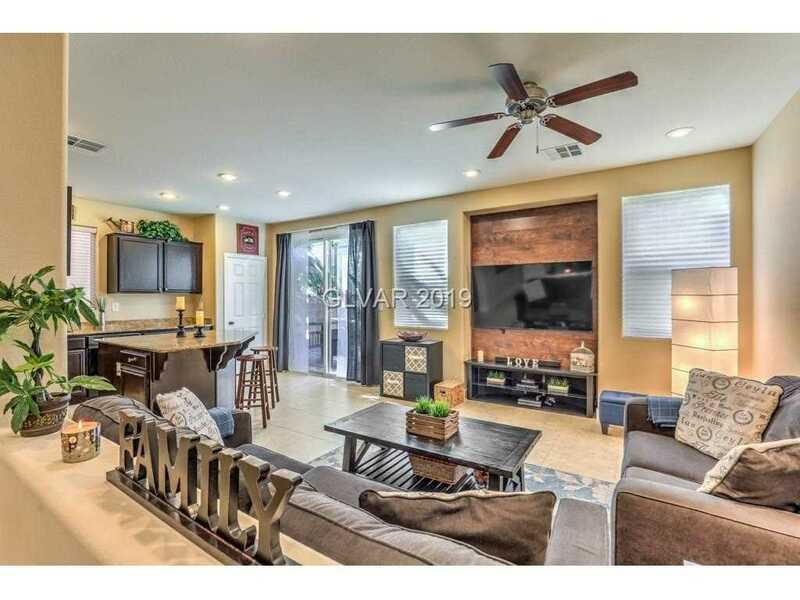 It features so many upgrades such as Ceramic Tile Floors, 2 Tone Paint, Ceiling Fan & Upgraded 4 1/2" Baseboards. The kitch is equipped with enhanced Cabinets, Brushed Nickel Hardware & Granite Countertops. The backyard features synthetic grass, custom stone pavers & pristine landscaping. Backyard Gazebo & Barbeque, Washer & Dryer and Kitchen Refrigerator are included! SchoolsClick map icons below to view information for schools near 6461 Raven Springs St Las Vegas, NV 89148.